Showing recent results 2776 - 2790 of 4490 products found. It is very important to evaluate compressive resistance of packaging material before its selection for maintaining product shape, quality while its transportation, distribution and handling in bulk. HTD-4000 - Qualitest International Inc. 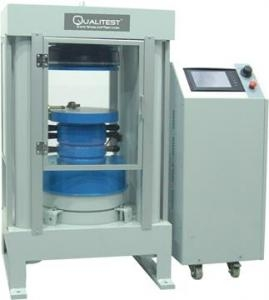 The Compression & Flexure testing product line from Qualitest offers a wide variety that will fit almost any budget. 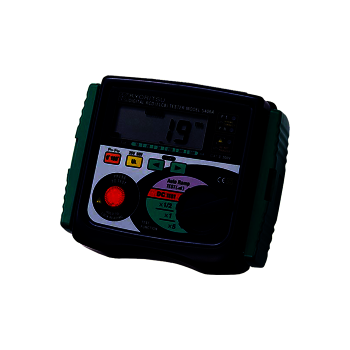 Different options between models include digital or analog display, single or dual range, and different types of configurations. 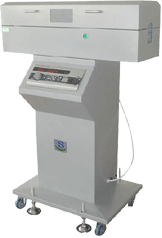 All the Compression & flexural testing machines conform to international standards for compressive & flexural tests. 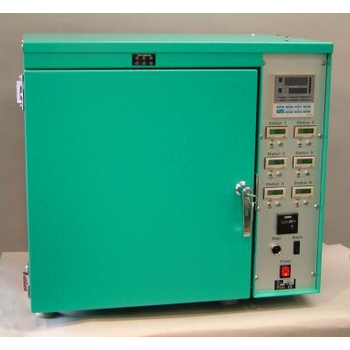 The SAFT instrument is used to test Heat-Fail Temperature in Shear of Hot Melt Adhesives. 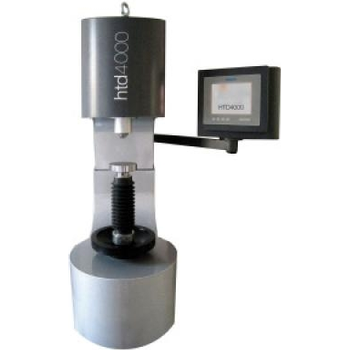 Weights are attached to the shear samples and the temperature is increased with a controlled rate until the samples fail. 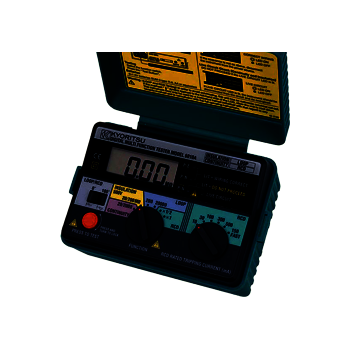 The ES 07 can test 6 samples simultaneously and a timer for each test station records the time to failure. 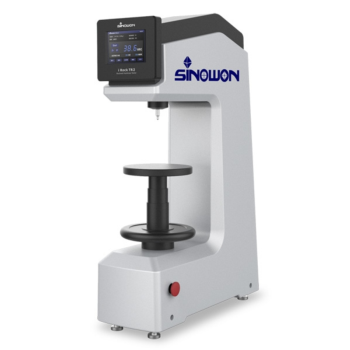 Sinowon Innovation Metrology Manufacture Ltd.
◆ Semi-automatic intelligent Digital Rockwell Hardness tester, you can automatically test the Rockwell hardness and surface Rockwell hardness measurement；◆ Automatic variable load, automatic loading, automatic unloading, automatic conversion, automatic measurement；◆ Friendly human-computer interaction，5.2“colorful LCD screen direct display test force,loading time,conversion value and indenter type etc； ◆ Automatically calculate and display the measured value, the maximum value, the minimum value, the average value and the hardness value deviation, the display shows the resolution 0.1HR；◆ There are functions such as hardness upper and lower limit settings, tolerance alarms, data graph analysis, average and (single point) batch measurement modes；◆ Software compensation function, the machine can be ± 3HR software compensation, no need to open the top cover for mechanical adjustment;◆ With automatic hardness conversion function, according to ASTM E140 conversion, no need to check the complex hardness of the table；◆ Multi-language features, can switch Chinese, English, German, Portuguese, Turkish, Czech, Korean and other languages；◆ Built-in 2000 single data storage function and 1000 group packet data storage function, can view a single data and data analysis；◆ Optional Bluetooth wireless printer to print the measurement data, no need to manually record and write test data；◆ Optional Softhard data analysis software and Bluetooth receiver on the test data for the computer into and analysis；◆ Support FexQMS measurement of large data analysis and control software to enhance the whole plant process control, reduce material loss. In line with GB GB4706.1,9706.1 and IEC335-1 other standards. 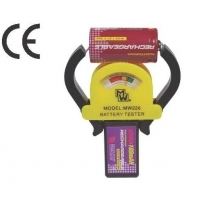 Test the quality of the wire covering or insulator. The electronic circuit also indicates the pinhole and automatically counts. Compress the specimen to 25﹪ or others of the original thickness for many seconds. and divide the load by specimen’s area to get the compression hardness. 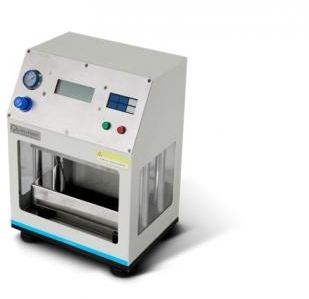 This machine mainly tests the electrical resistance value of various products, and the range is automatically converted. Test the dielectric withstand voltage of various electrical equipment and measure the direct insulation resistance. Test resistance to bending and breakage rate of electrical power line .